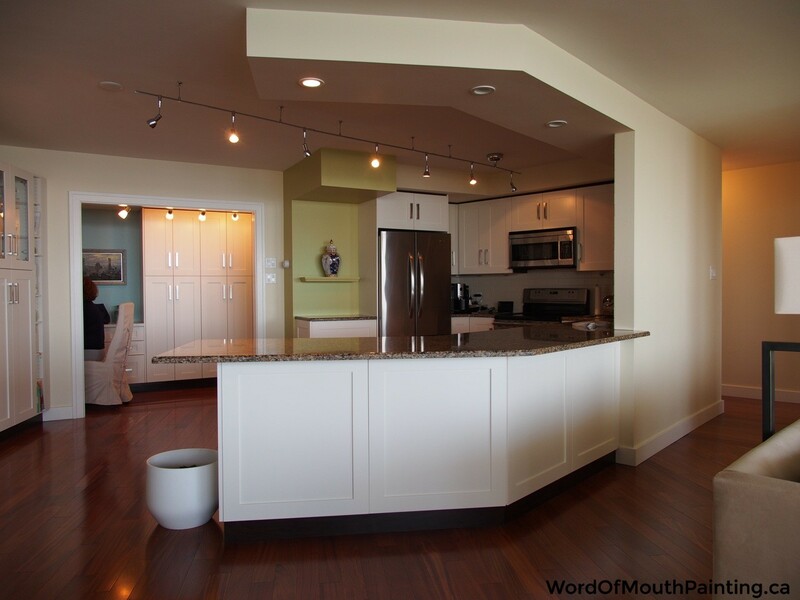 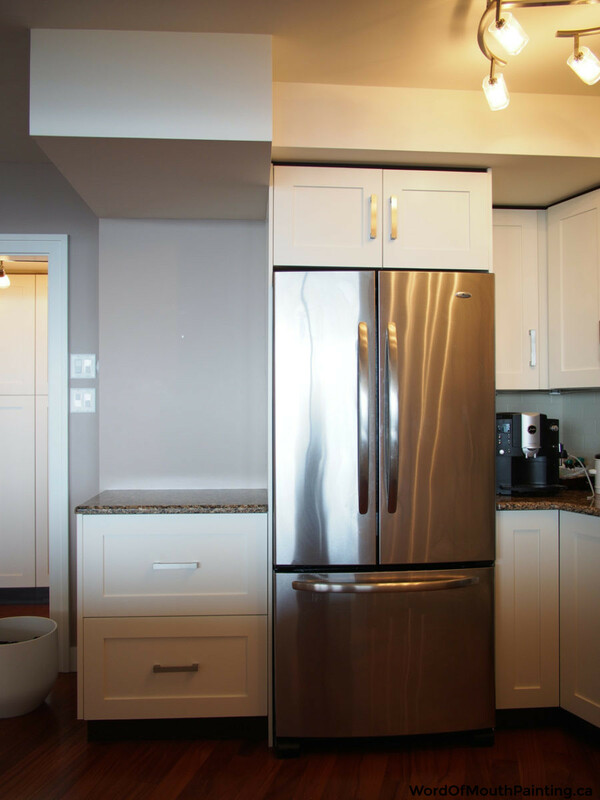 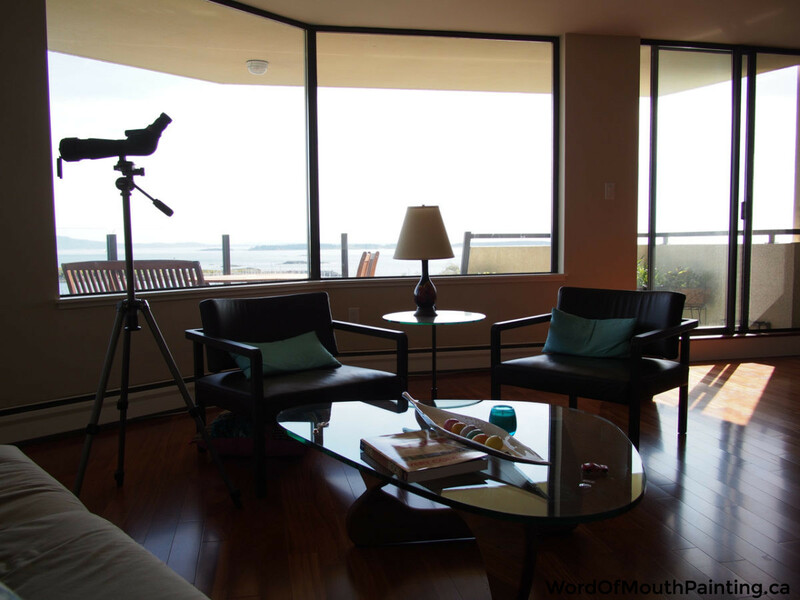 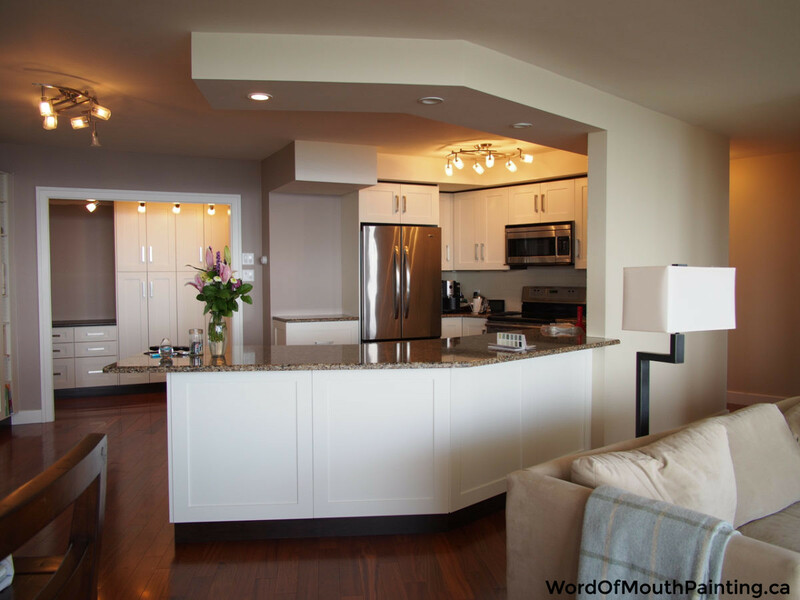 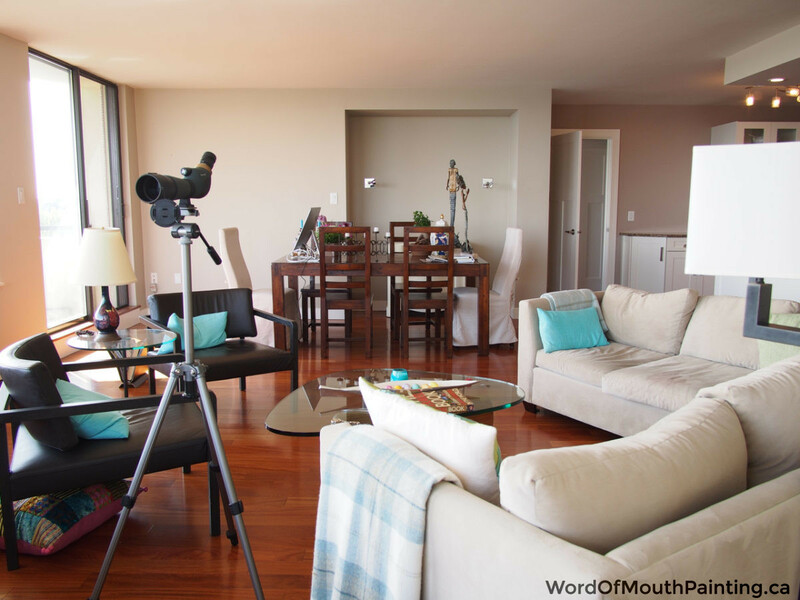 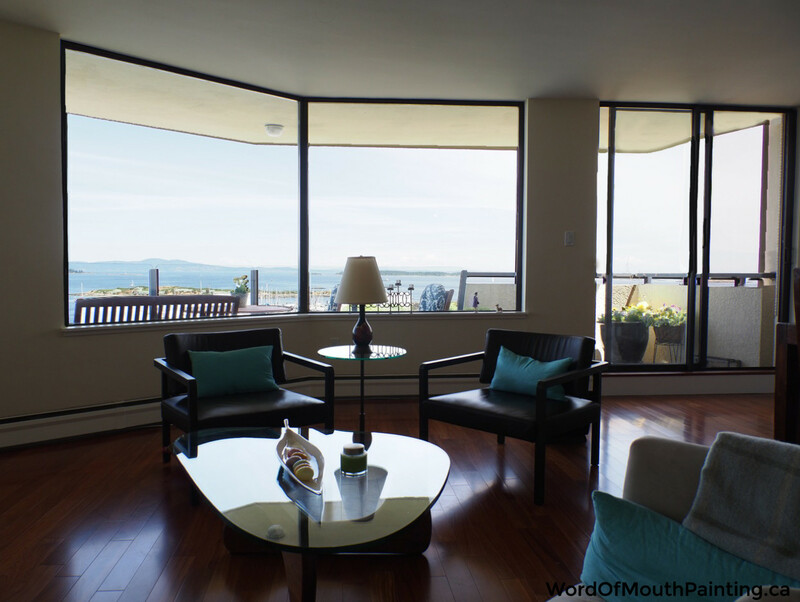 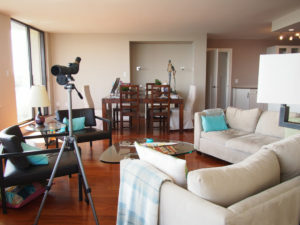 Welcome to this stunning apartment on Beach Drive overlooking the Oak Bay Marina. 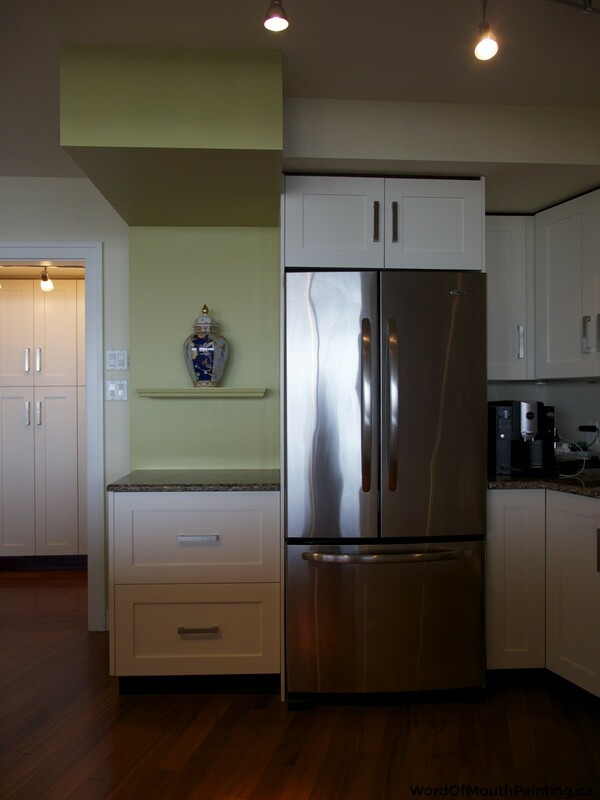 The owner wanted a complete colour overhaul to reflect the ocean-side location. 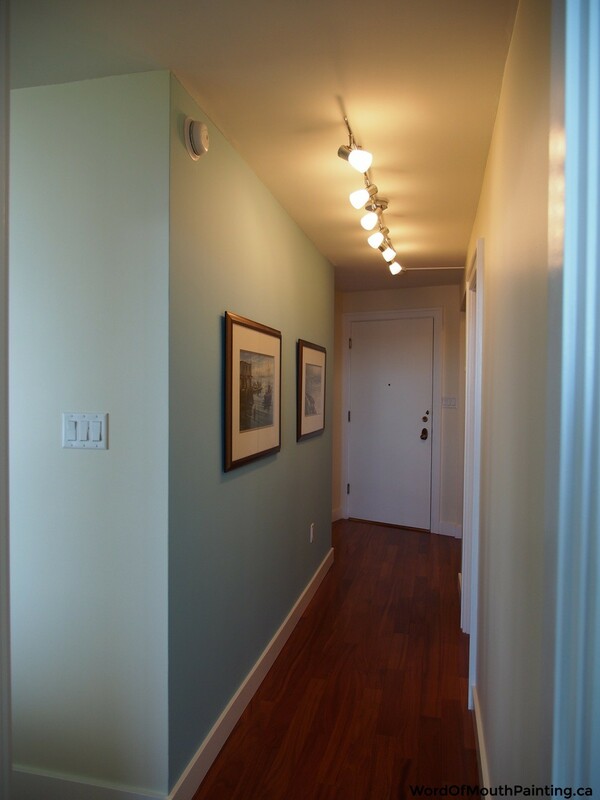 The new Farrow & Ball scheme compliments the locale with a mix of greens, blues, cream and yellow. 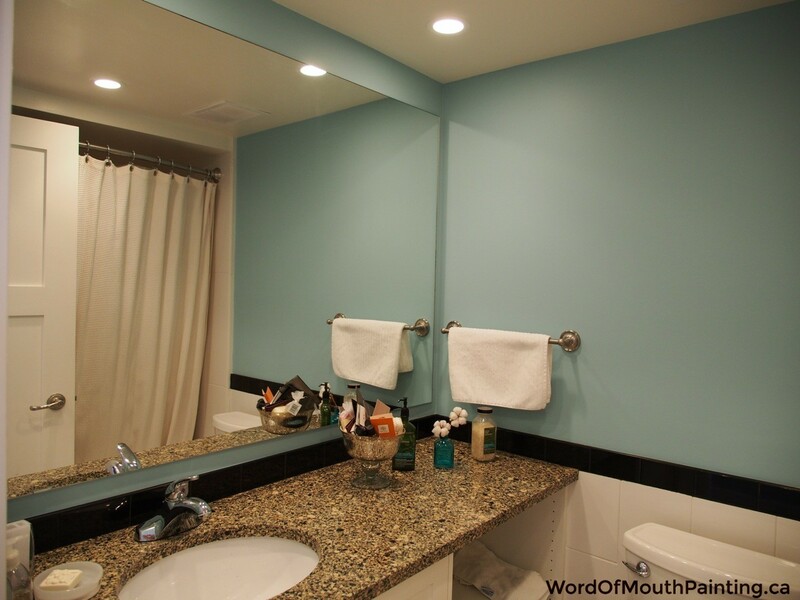 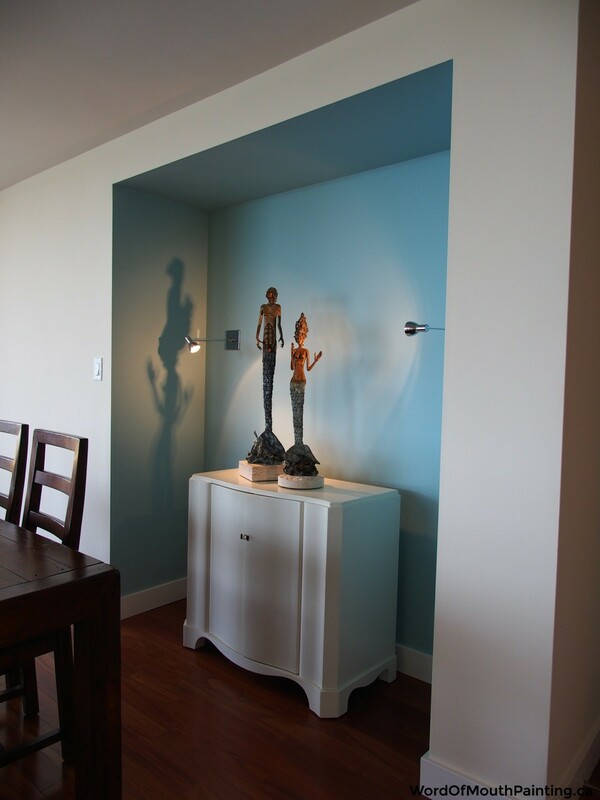 The majority of the halls, both bathrooms, and a shadow box wall behind the dining table are painted Blue Ground. 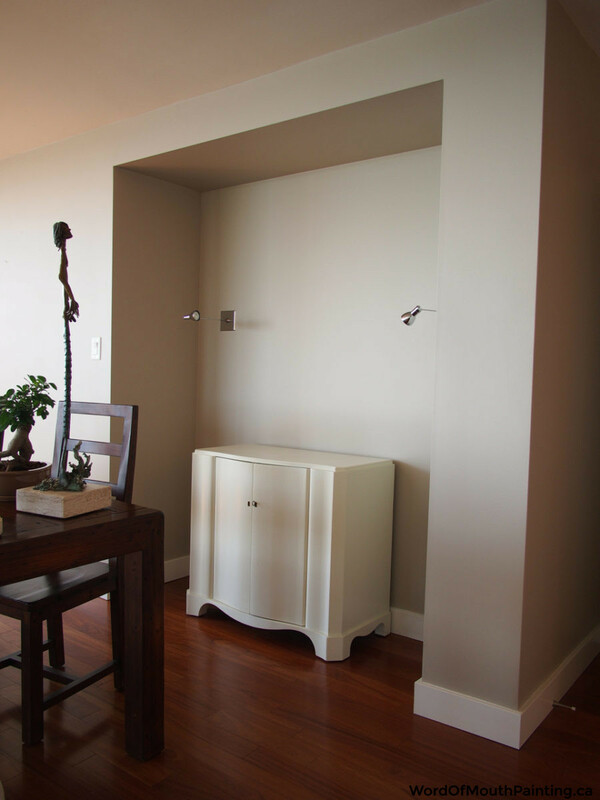 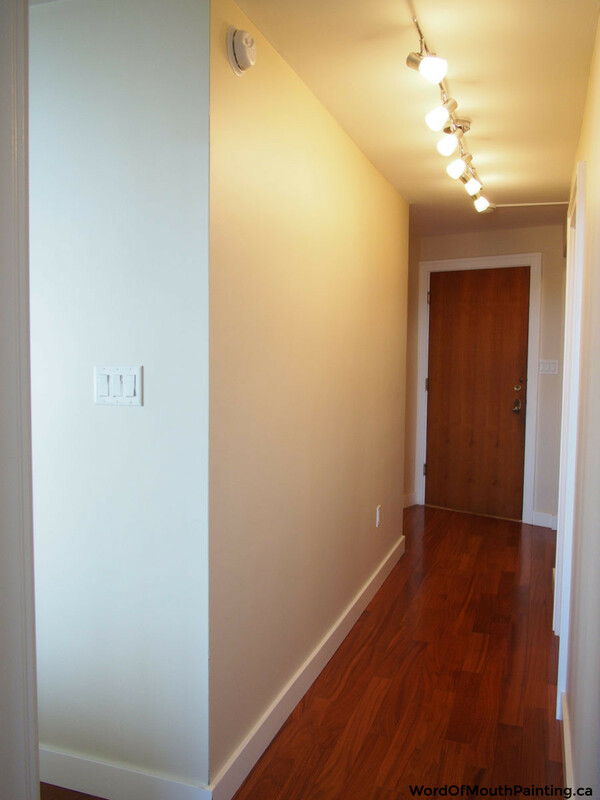 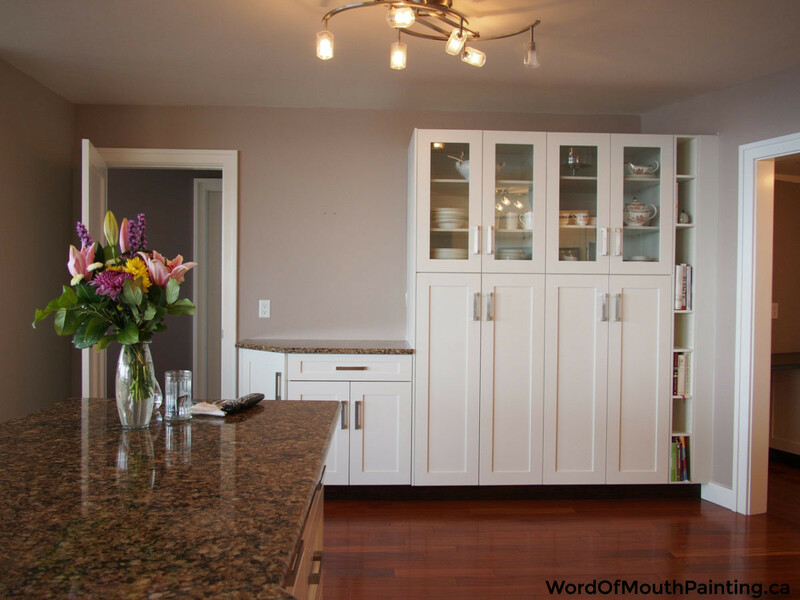 We also used a cream colour in the hallways, kitchen and living room called New White. 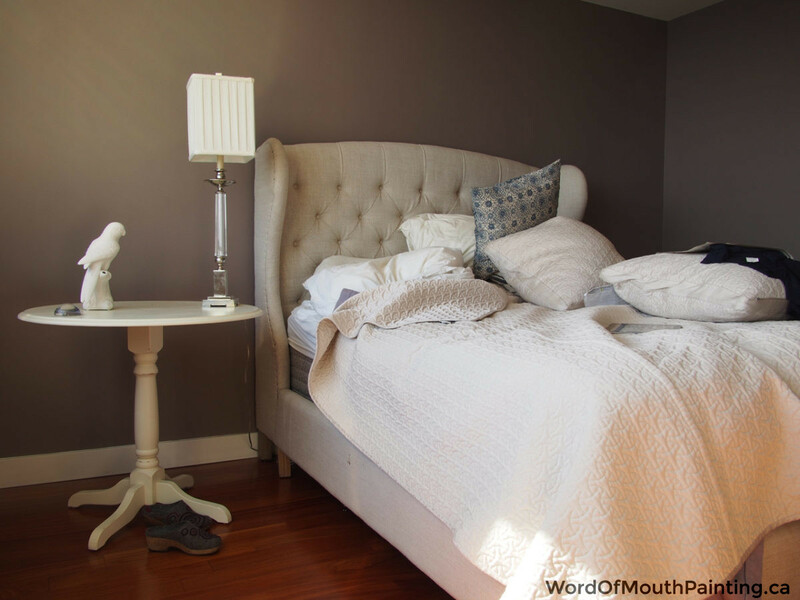 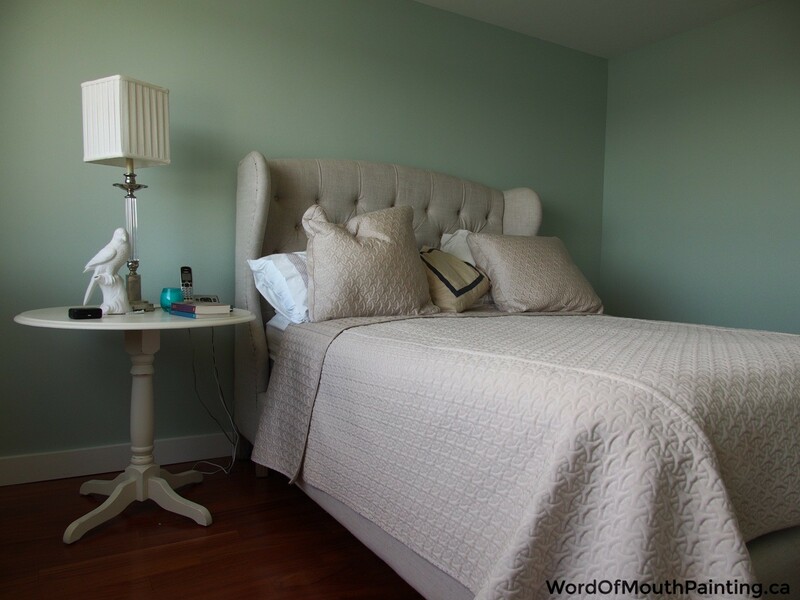 We painted the master bedroom Teresa’s Green and the spare bedroom Blue Gray. 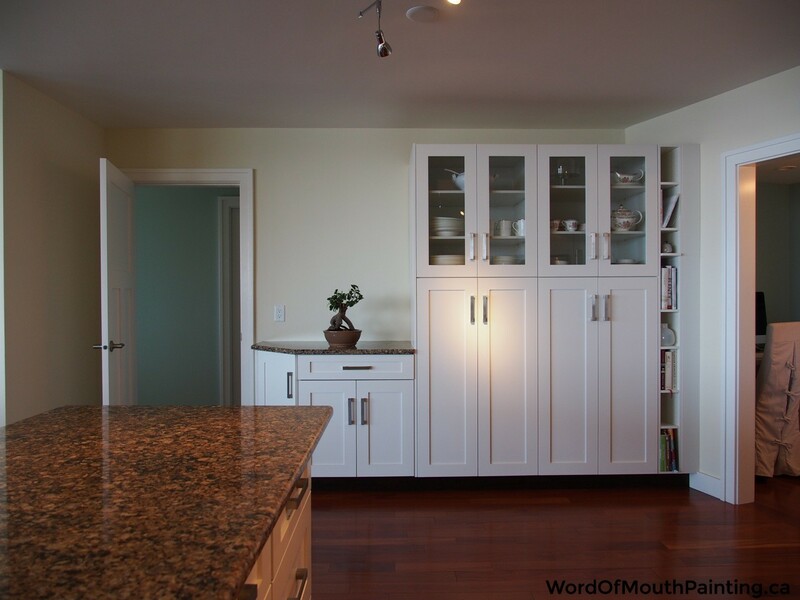 To create a unique feature wall in the kitchen we used Churlish Green. 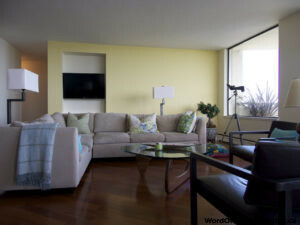 And to separate out the section of wall where the television is recessed in the living room, we painted Dayroom Yellow. 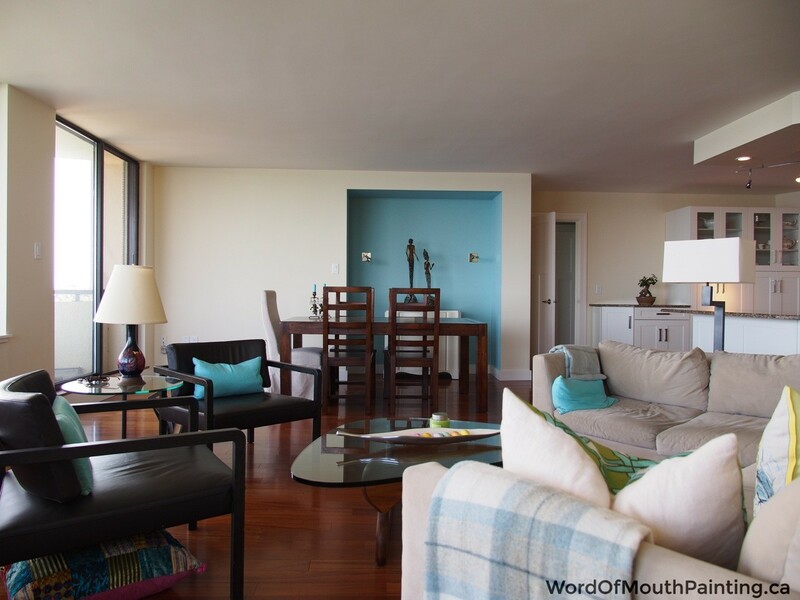 The new colours changed the flow of the space while better connecting it to the gorgeous seaside location.